HEAVY DUTY MEASURING CONTAINERS conducted of polypropylene are chemically resistant, spark-proof, dent-proof, rust-proof and boil-proof. • Molded raised letter graduations in U.S., metric and imperial. • Translucent material keeps contents visible. • Big grip handle and sturdy non-tip base. 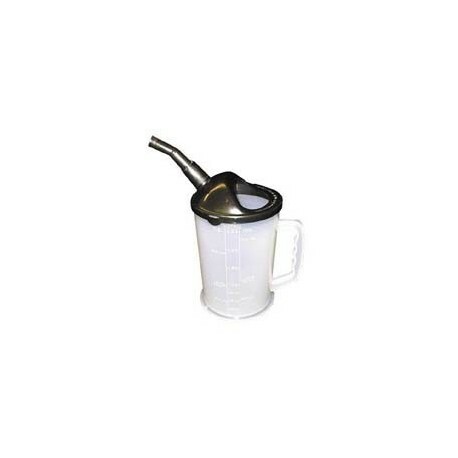 • Ideal for mixing chemicals, oil, gas and powders. • Includes black 4" spout.